If you’re gambling, bankroll management is an important skill possess. It will give your the best chance at success. Gamblers do need to have some luck in order to win, but to be at a point where you can win and luck can payoff, you have to have the cash readily available. How do you do that? The answer is you develop skills involved in solid bankroll management. If you’re able to do so and put them into practice, you’ll get optimum performance from your source of power, your bankroll. Utilize the five bankroll management techniques outlined in this article to do just that. Too many new gamblers start out with unreasonable expectations. It’s part of that get rich quick mentality that dooms one from the start. You can’t expect to turn $100 into $10,000 in a day, a week, or a month. Consider the fact that if you increased your $100 bankroll to $200, you would have to have manufactured a 100% gain. Then ask yourself, who does that? The answer is no one unless they are extremely lucky. A 5% to 10% gain in one would be a pretty sound and reasonable expectation. That would yield about $8 per day and over the course of a week, with steady growth, you’d be up by approximately $65. But is that total reasonable? There are days that you’re bound to lose cash. Maybe at the end of the week, on average, you can expect to make $40 on %100. So, can you turn $100 into $10,000? Yes, you can. Is that a reasonable expectation? No it’s not. That brings us to our second point concerning bankroll management – most people start gambling with an inadequate amount of cash. First of all, you should only be putting money on the line that is not committed to anything else. Don’t use rent, food, gas, tuition, or any other earmarked funds that you cannot afford to lose. What is an adequate bankroll? It depends on what you expect that money you’re risking to do. If you just want to have some fun, then almost any amount will serve those purposes. But if you want to make money, it then ask yourself how much you are looking to make? Basically, you need enough cash to absorb losses when you go on a losing streak. A reasonable amount of risk to take on one bet is 1%; however, you will find some who consider 3% to 6% to be reasonable. Sticking we the most conservative number, if you have a bank worth $1,000, and wager 1% at a time, you’ll have 100 bets at $10.00 per bet. That’s solid wagering power. Now consider that $10 bet in relationship to a $100 bankroll. Instead of 100 bets, you have just 10. That is little to no gambling power. When gambling always think of your wagers as a percentage of your bank and not as a monetary value. If we stick with wagering 1% of your bankroll each time you bet, you will still have 100 bets with a $100 bank, but now they are worth $1.00 and not $10.00 each. 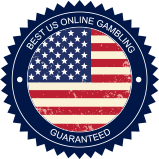 Our third important point concerning gambling and bankroll management is to use, as noted about, percentages rather than cash value in determining bet sizes. In doing so, you will break your bank into betting units. If you decide to make a unit worth 1% of your bank, then no matter how small or large your bankroll is, you’re starting with 100 units. You can then determine how many units you wager based on the amount of risk you’re taking. The basic rule of thumb regarding risk is the bigger the payout the higher the risk and the more likely you are to lose your cash. Thus, you want to bet less on high risk wagers and more on low-risk ones. To put this idea into practice, on the roulette wheel you might place a one-unit bet on a single number (payout 35-1) and a three-unit bet on black (payout 1-1). You’ve bet fewer units on the high-risk bet and more on the one offering low-risk. If you win either, you’re on the plus side! Never gamble when you’re upset, depressed, frenetic, under pressure, or in some manner psychologically stressed. This can greatly influence your decision-making abilities. Also, gambling when you are under the influence of alcohol or anything else is a sure way to have your losses mount quickly. Gamble when you are in a state of mind to make logical, unemotional decisions. Every gambler loses money. The key to successful bankroll management is dealing with such losses in a sensible manner. First of all set a limit for losses you’re willing to endure in one gambling session and stick to it. Also set a limit on how much money you’re willing to risk. To clarify, you may bring $100 with you for a session of blackjack, but you may be willing to lose up to $75 in that session, leaving with $25 or 25% of your stake. That gives you a bit of a psychological edge in that you end your session without losing everything you brought to the table. You may, however, decide to leave after losing the full amount of your stake, $100. Whatever the case may be you should only lose as much as you can afford. Also, set a limit in terms of how much you have to win before you will walk away for the day. Again, you want to be reasonable. A 20% to 30% gain is a large percentage, although on a $100 stake it tops out at just $30.00. That amount of cash may not sound like much, but, then again, think of it in terms of percentages, and you realize it’s quite a bit. Know when to leave after winning. If you don’t, you will eventually give back all of the cash that you won, plus more, to the casino. The bottom line when it comes to bankroll management revolves around making wise choices and having reasonable expectations. In order to be successful at gambling, you have to be a smart businessperson, reducing your risk and making the most from your gains.